EAIF Executive Director leads session at PF4SDG on attracting commercial finance to large-scale water projects. Emilio Cattaneo, Executive Director of The Emerging Africa Infrastructure Fund (EAIF), spoke at the Organisation for Economic Cooperation and Development’s Private Finance for Sustainable Development Week, held in Paris in the third week of January. The EAIF is part of The Private Infrastructure Development Group (PIDG). Mr Cattaneo spoke in the Private Finance for Sustainable Development in Water and Sanitation session; leading a discussion on raising finance for large-scale urban water infrastructure. Drawing on EAIF’s recent experience of being the mandated lead arranger of the debt finance for the Kigali Bulk Water project in Rwanda, he emphasised the importance of creating a financing structure that allowed water tariffs to be affordable for consumers and provide a return on investment to owners. The US$60.8 million Kigali Water Limited (KWL) project is currently under construction. It is one of the first bulk surface water supply projects in sub-Saharan Africa to use a public/private partnership model. It is also one of the few water infrastructure projects in sub-Saharan Africa being undertaken on a build, operate and transfer basis. After 27 years, the facility will transfer to public ownership. Mr Cattaneo outlined the Kigali project and strategy of PIDG and EAIF in engaging with the water sector. The financing of the KWL projects has now won five prestigious awards from leading specialist project finance publications. 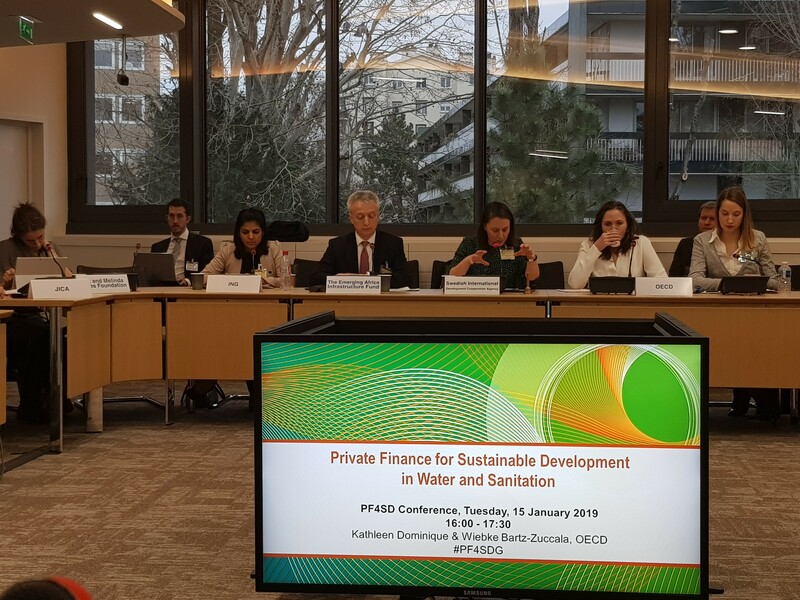 Mr Cattaneo also spoke at a session on blended finance organised by Convergence – the global network for blended finance – alongside PIDG Head of Partner Relations, Karen Menzel.